Unlike women, men are not much pumped up about dressing up for Halloween. They feel that costumes are just for children and women. But you can look good without going over the top too. Below we’ve listed Halloween costume ideas for men that will look great for 2017. Take a look. This has to be one of the greatest things we’ve seen on the internet. It features Che Guevara wearing a Che Guevara t-shirt. 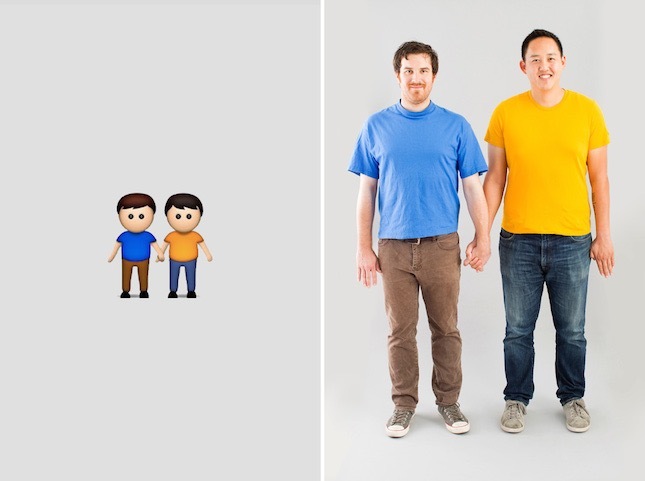 We believe we don’t really need to describe how this one was recreated. It’s self-explanatory. 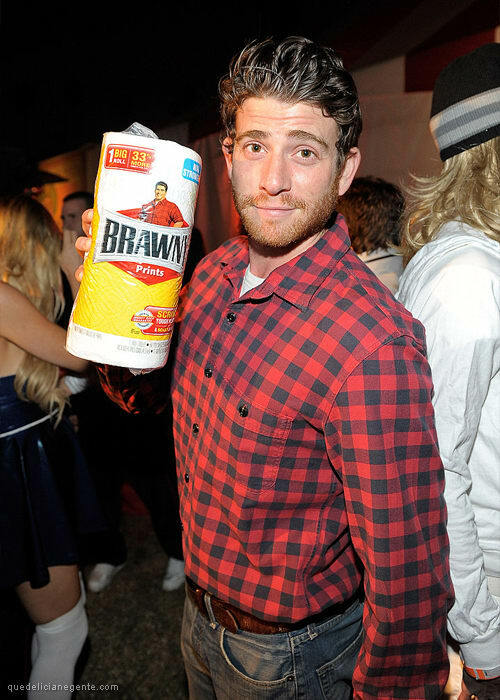 Just a checked shirt and a stubble can help you turn like the Brawny Man from Brawny Prints. Isn’t it easy. If you want to recreate Shia LaBeouf red carpet stint, we’ve got you sorted out for this as well. 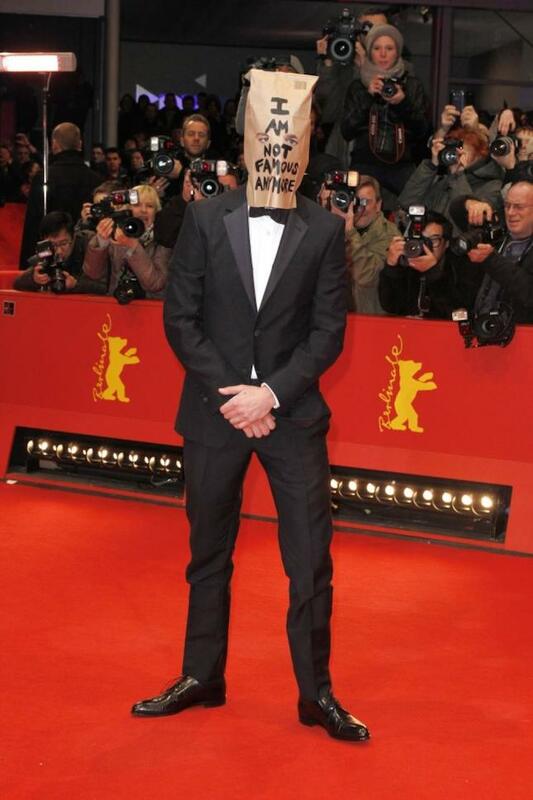 Just put on a charming tuxedo and wear a paper bag over the head, written, “I’m not famous anymore”. Despicable Me 3 is just about to release and we cannot wait to watch. 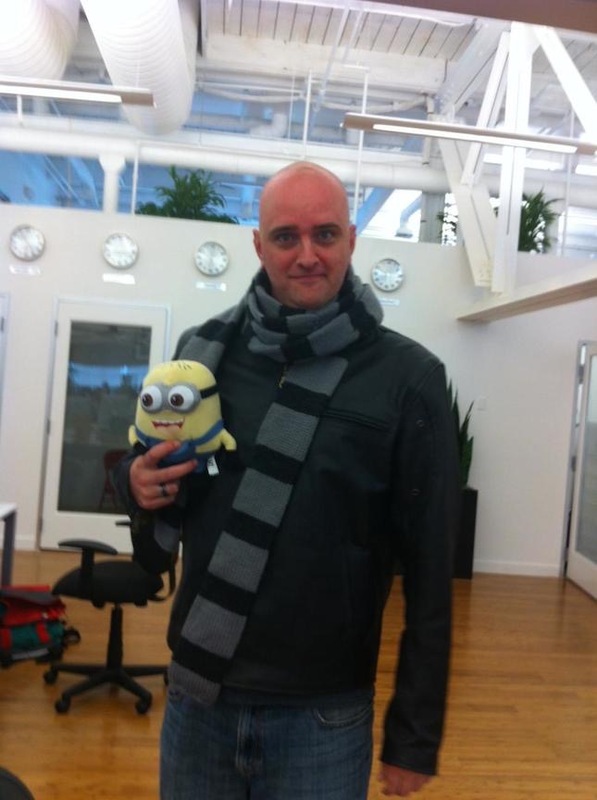 We even believe that it will be a major hit, so how about donning Gru’s costume for the Halloween party? It’s an excellent idea for guys facing hair loss issues. 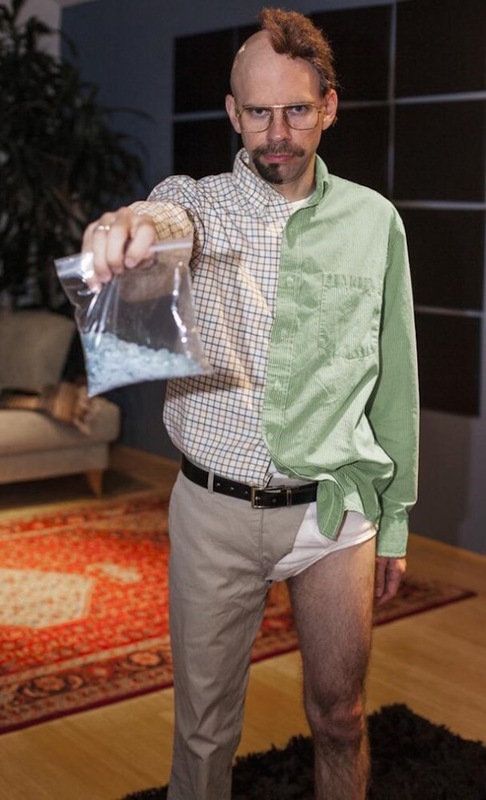 The costume here features Walter White and his alter ego from “Breaking Bad”. You can differentiate yourself from the party crowd in a very clever way. 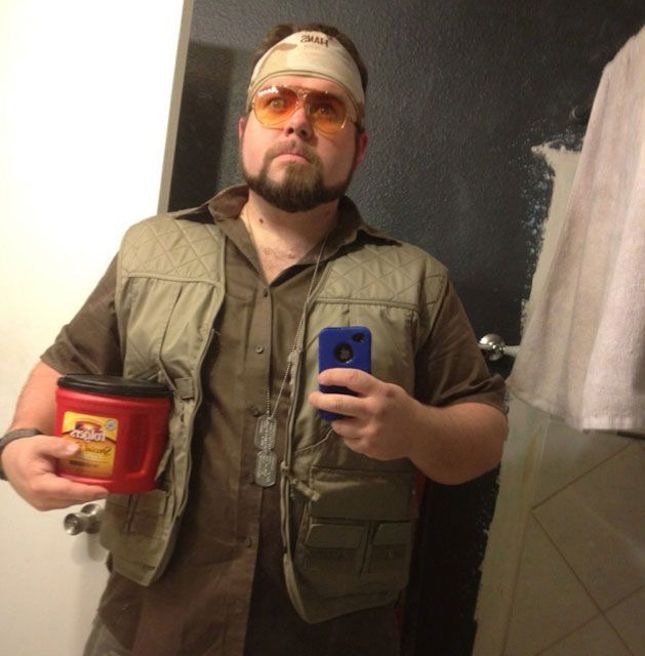 To recreate Walter Sobchak look, try to get hold of a cargo vest, a pair of aviators and a buttoned shirt. And of course, the right expression and you’re good to go. 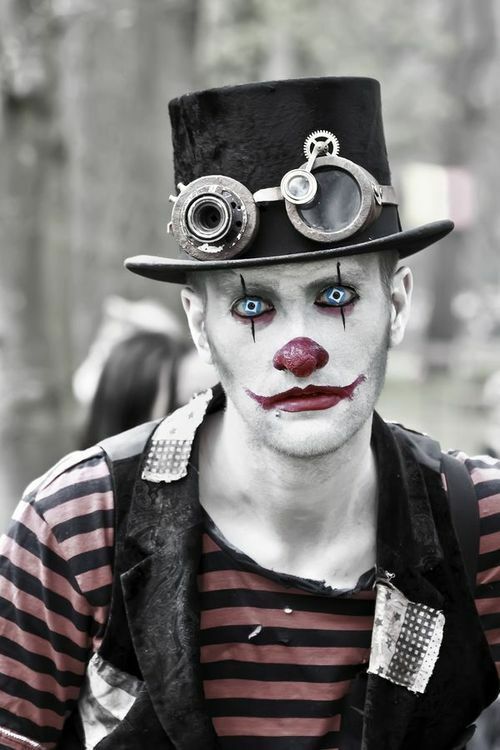 You may hate clowns, but this one is seriously too cool to be hated. The makeup is making all the difference in this look. And what’s up with the head gear? 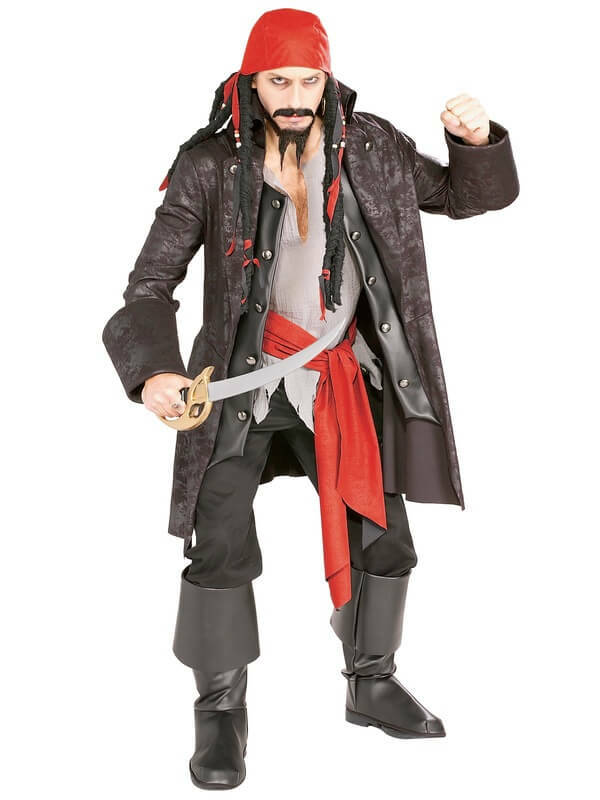 Some Halloween costumes just do not get old fashioned and pirate costume is one of them. 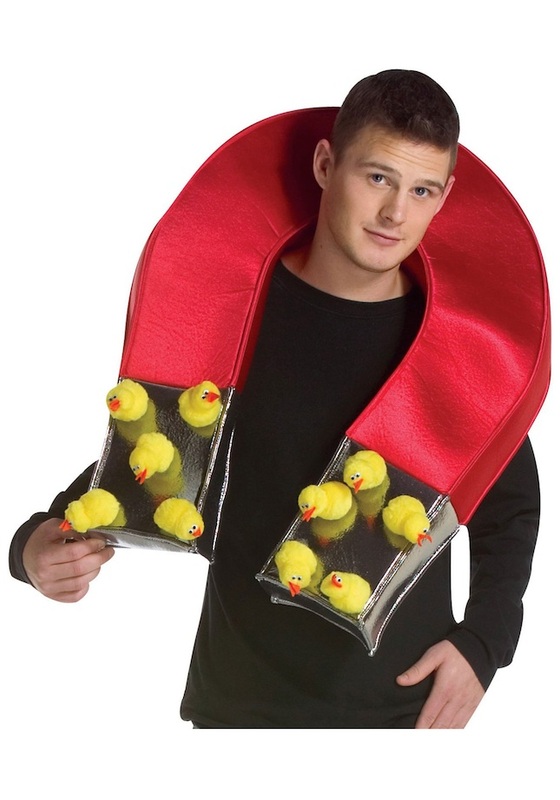 The one featured here is great for people who want to keep their costume understated. 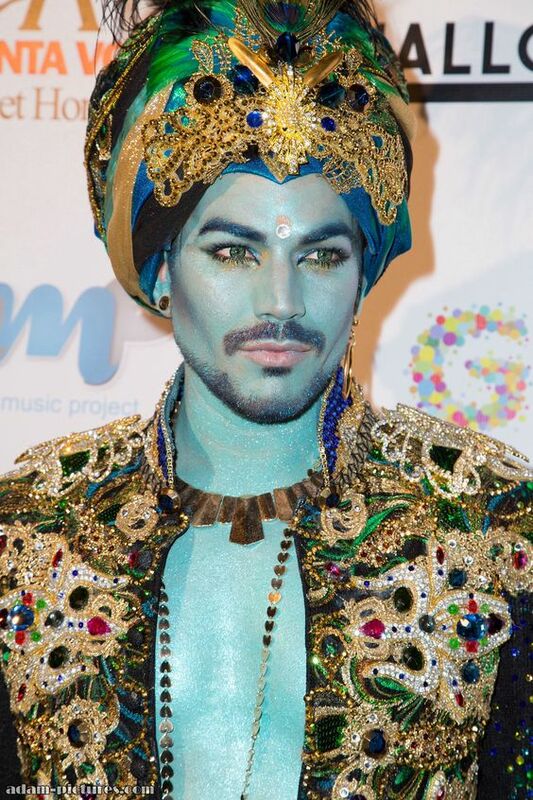 If you want things magical, you can go for the male fairy look. 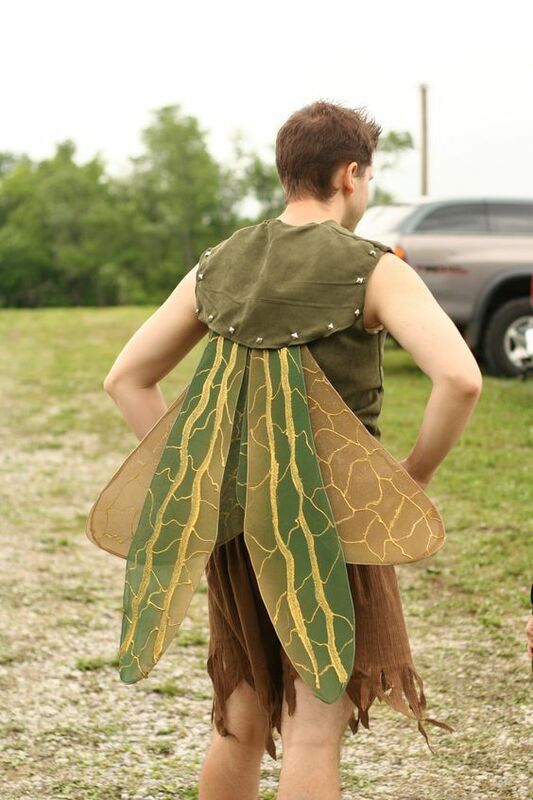 But for that, you’ll have to source grasshopper wings. 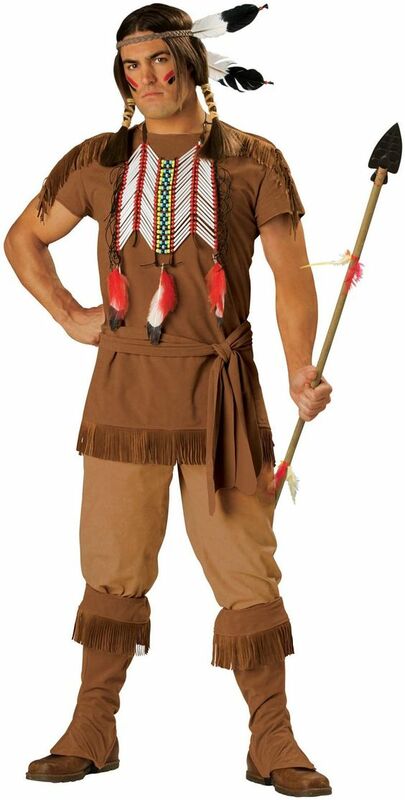 Pay tribute to your native American roots by dressing up as a native American for the Halloween party. For this look, you may have to purchase the costume. But if you’re creative at heart, you can make this at home too. 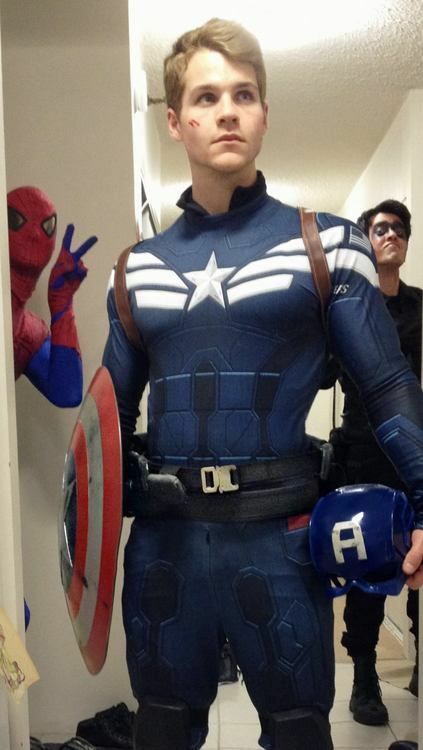 Captain America is one of our most favorite superheroes. He looks so handsome in his suit. Just imagine how gorgeous you’ll look decked up in this suit. 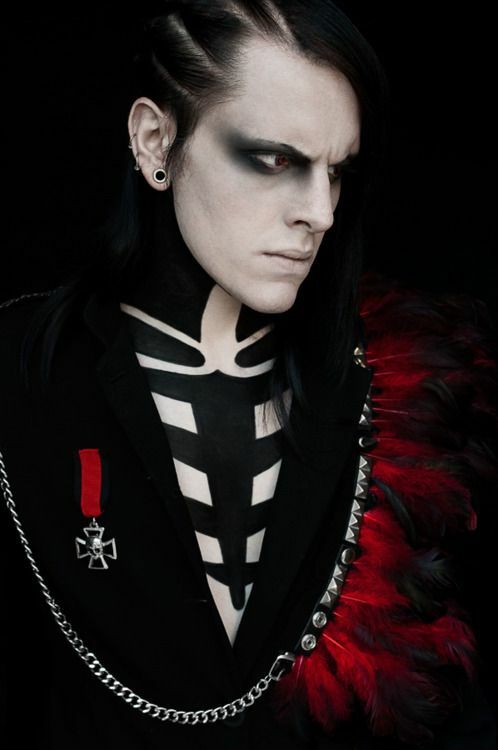 Have you ever seen such a handsome skeleton before? At least we haven’t and are feasting our eyes here. If you’re able to pull off this look, we’re sure you’ll look equally handsome. 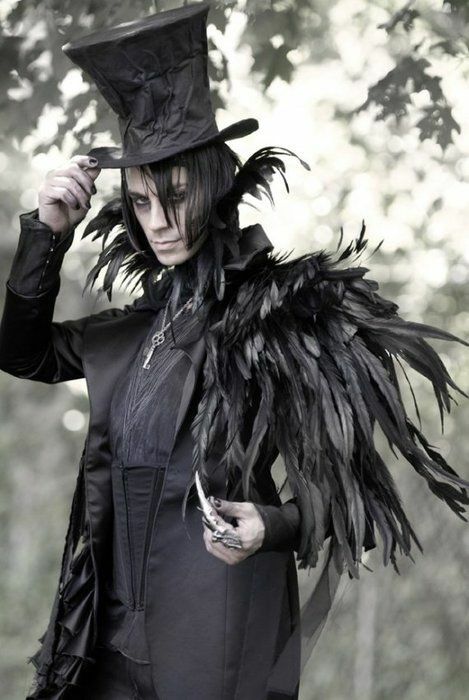 Some people may think this look to be extreme goth, but we love it, especially the top hat and the feathers. Is he a reincarnation of a crow by any chance? 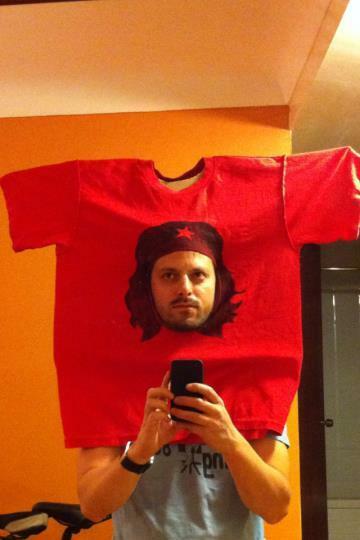 Here’s another evergreen Halloween costume idea for men. You can slyly repeat the uniform for any other party and people will still like it. 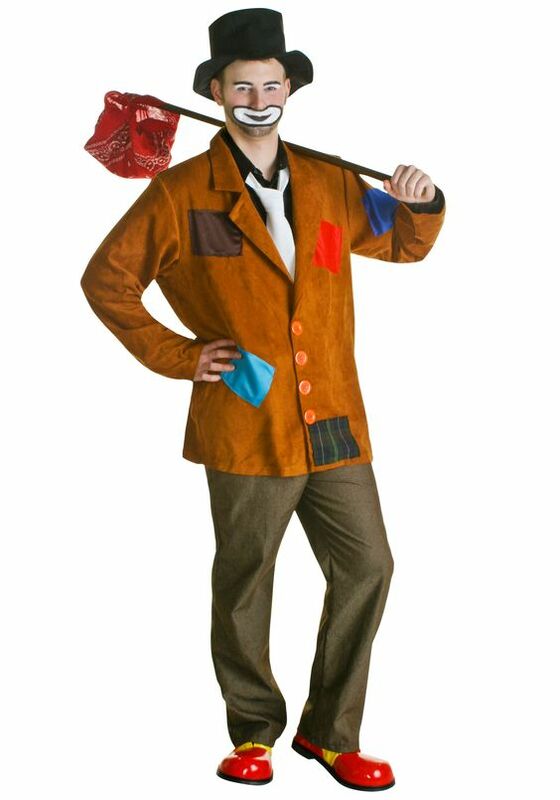 If you don’t mind clowning yourself up for the Halloween party, dress up as the hobo clown. After all, Halloween is all about going over the top. If you truly wish to stand out from the crowd, then opt for this genie costume. It’s a bit elaborate and will take some time to achieve, but the end result will definitely please you. Simple colors can make maximum impact and this costume is a perfect example of that. And believe us, vampire costumes never get old, at least not in next 20 years. You can even go for preppy, Victorian look if you want. 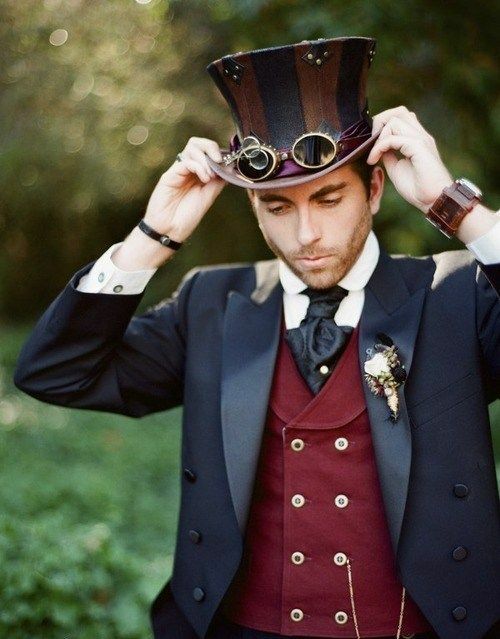 Just wear a good quality tuxedo and try to source an old, chain watch and a leather top hat. You’re all set. Doctor Who cannot just defy space and tie, but can also look extremely dapper in his suit. 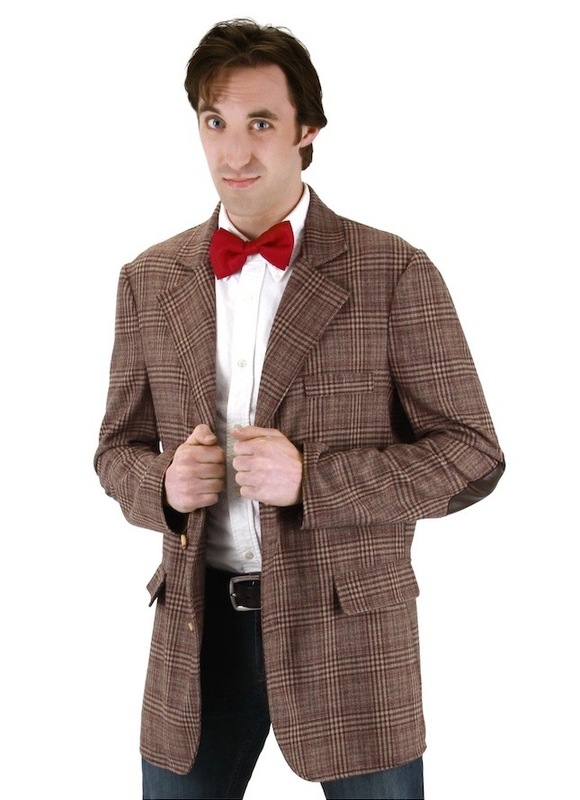 So if you want to look like the legendary doctor, even if it’s for a night, try to emulate the look featured below. 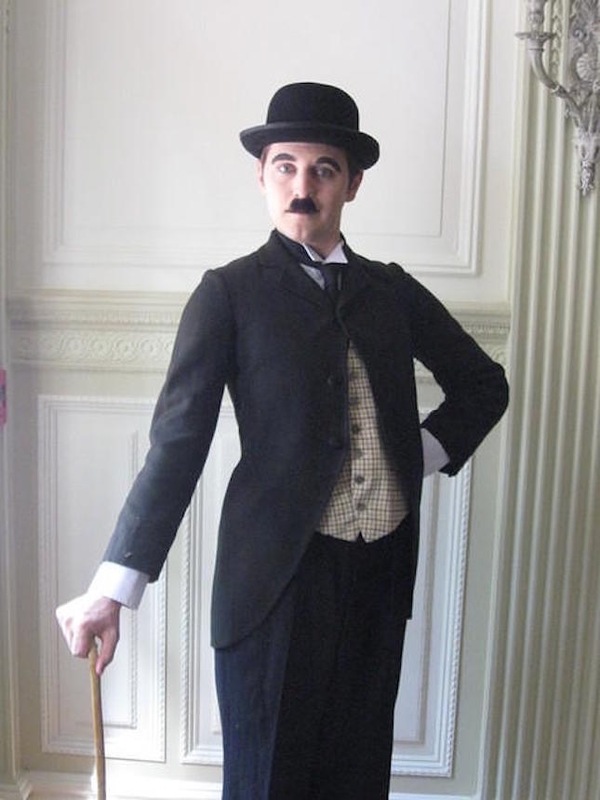 Put your funniest foot forward by dressing up as one of the most iconic characters of all time, Charlie Chaplin. If you cannot find a vintage looking suit, dress up in a regular black suit, just don’t forget the mustache and hat. So what if you couldn’t make it to Germany for the Oktoberfest? 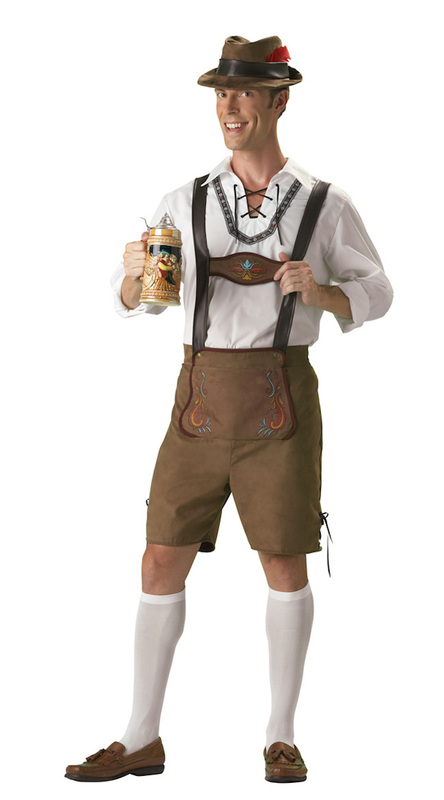 You can at least dress up in a typical Oktoberfest costume and enjoy yourself in the dapper uniform. This one is both fresh, simple and easiest way to bring from the virtual world into the real world. With white face, green hair and cheesy smile, this look is creepy to the maximum level. 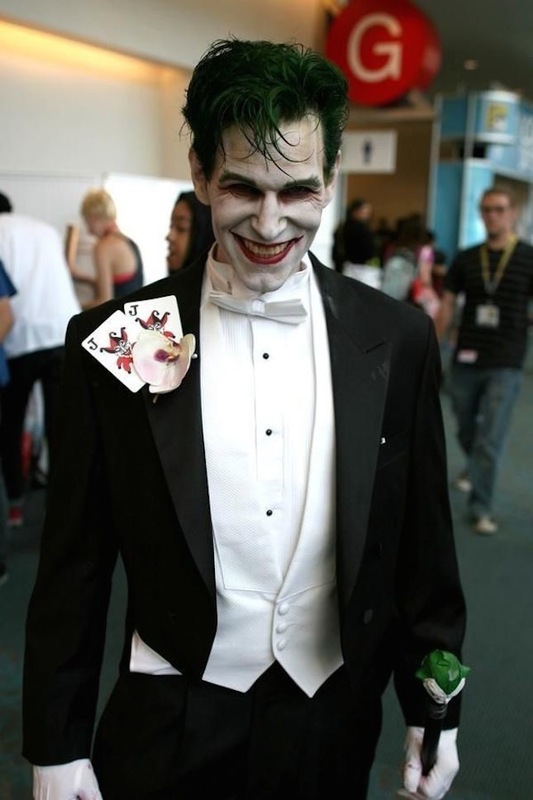 While people will recognize you from your look itself, but if you want to make obvious, pin one or two joker cards on the jacket. 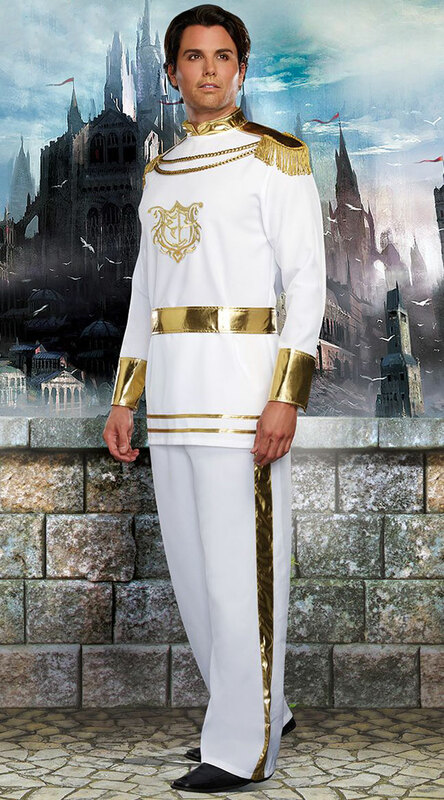 Sweep the ladies off their feet by dressing up as Prince Charming. To give it a hipster and even humorous twist, wear a pair of glasses. 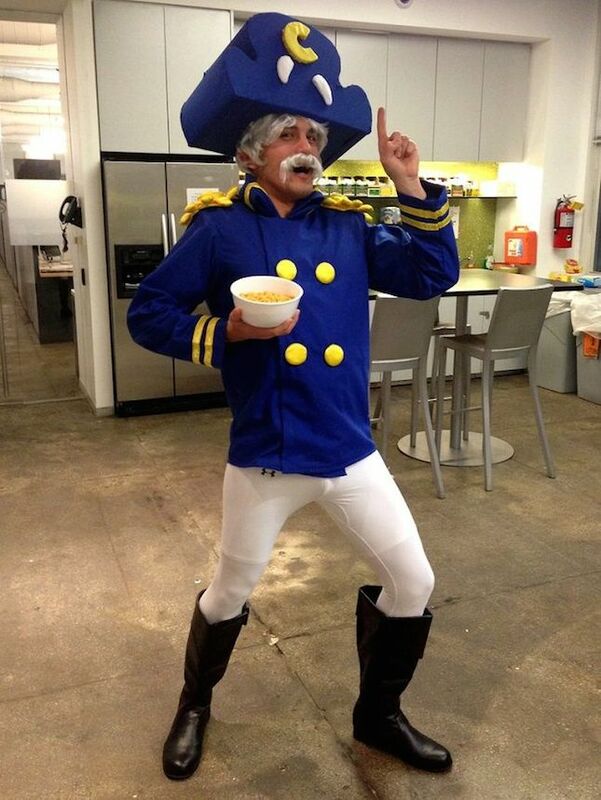 Teach everyone the importance of cereals for health by dressing up as Captain Crunch for Halloween. Don’t forget to carry a bowl of cereals with you. 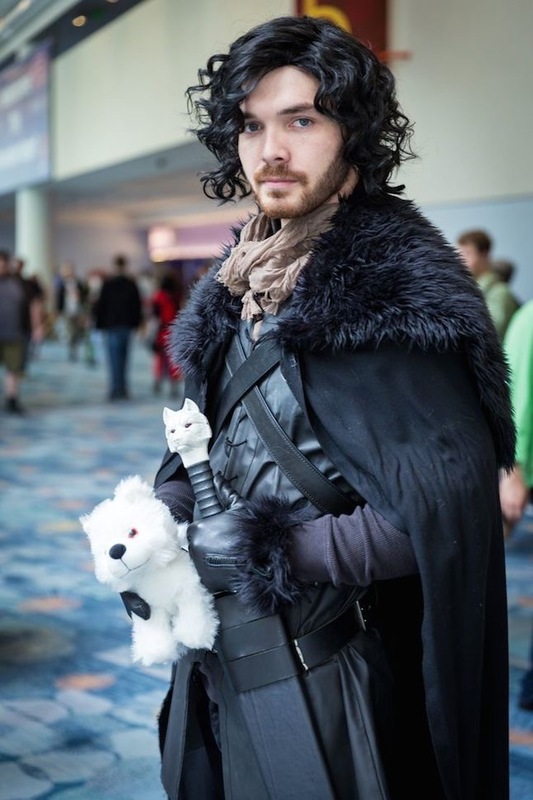 Jon Snow may know nothing except the fact that how awesome and badass he looks in his costume. Batman cosplay is passé. Bane has been reigning ever since “The Dark Knight Rises” released. Talking about badass, huh! 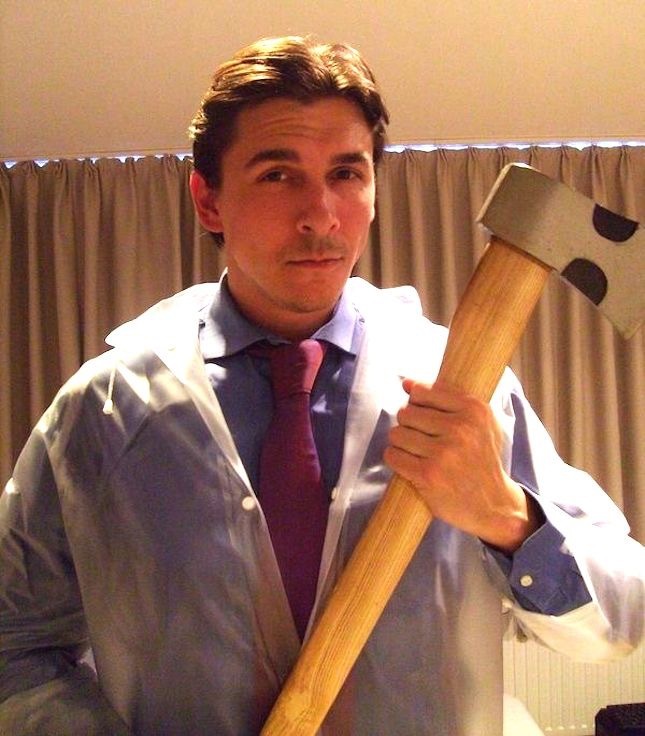 Coincidentally, this guy looks quite a lot like Christian Bale. And that’s the reason he’s rocking the look. He can pull off a Batman easily as well. This one’s both funny and punny. It may not be easy to pull off, but it will surely be a great conversation starter. 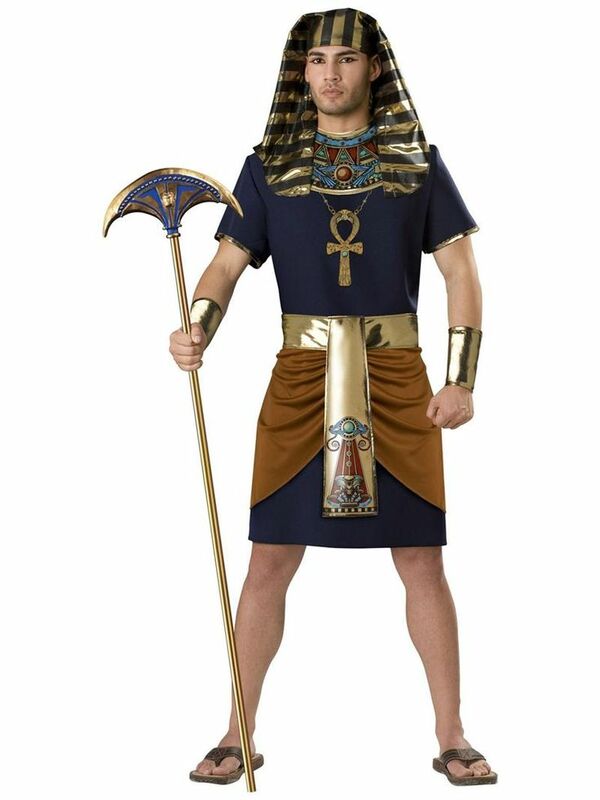 Last, but not the least, transport yourself to ancient Egypt with this Egyptian pharaoh costume. So guys, did you like any of these Halloween costume ideas for men? 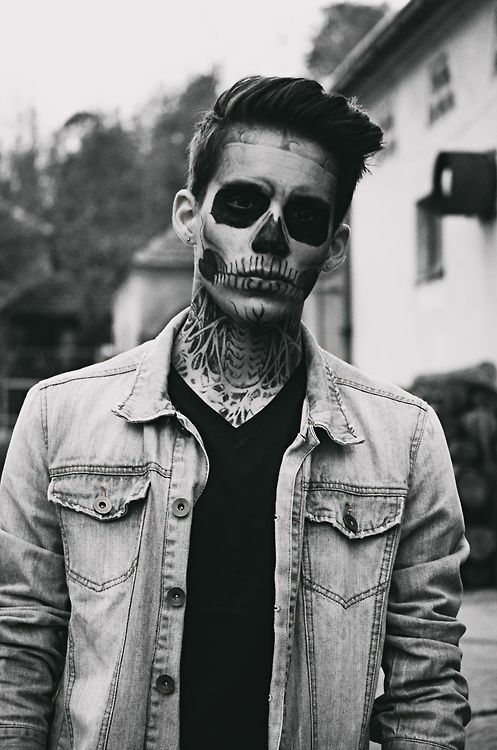 If you’re planning to opt for any of these Halloween costume ideas for men, don’t forget to share your photo with us.